It is very tempting to take a laptop computer on location for live recording. It can work fine — until it doesn’t. 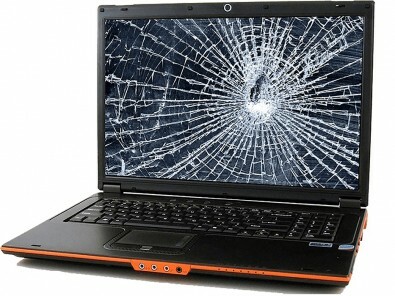 Laptops, by their very nature, are more fragile and prone to failure than other recording devices. Be careful that you’re not the victim. I personally avoid taking laptops on location to record audio. I have been burned by too many laptops over the years failing to perform in the field. I’m nervous about taking chances anymore. Others, I know and work with, use laptops all the time and seem to never have trouble. Just call me paranoid. If you are going to use a laptop for field recording, try to use one that has solid state drives rather than spinning hard drives. They are supposedly more reliable from vibration and the occasional slings and arrows that invariably happen to gear when working in the field. Whether you use a Mac or Windows laptop, it is good to have a bootable external SSD with a backup of the operating system with you at all times. You never know when the main system might not boot up. Depending on the audio software you use, remember that authorization of the apps you use is usually based on a unique hard drive identifier. So make sure you authorize your alternate boot drive. Otherwise, you will have a “gotcha” moment in the field. When using a laptop on location, all the experts advise removing all the non-audio programs that are not needed at the time of the recording. Also disable functions like Wi-Fi, Bluetooth, Ethernet, anti-virus software and anything else that is not essential to the recording. A stripped machine in theory has less cause for trouble. It also may sound like a no brainer, but don’t put your drink next to your laptop on a location. It’s an accident waiting to happen. Make sure the table the laptop is on doesn’t shake or vibrate. Use gaffer’s tape to secure all cables going into the computer. Someone who trips over a cable can end your recording on the spot. Though using AC power should be avoided when possible, battery-operated laptops usually take a performance hit on D.C. If the power is bad or unreliable where the recording is taking place, use an uninterruptible UPS power supply rather than a battery or A.C.
Take care, when using a USB flash drive, to make sure it is not elbowed or knocked out of the computer by accident. Any pressure on the delicate connector can cause a UBS connector to snap. Damaging a drive can also damage the socket it is plugged into. As I said earlier, I try to avoid using laptops on location. Only because I’ve learned that locations can be virtual combat zones for audio gear. Microphones get kicked over by accident. People trip on cables, even ones taped down. I try to use rugged recorder/mixers with internal flash memory that record individual tracks. I find them more reliable and less prone to disasters than laptops. Though using a laptop can work in a tightly controlled environment, that is often far from the reality. When using a laptop in the field, be sure to have redundancy, good power sources and use a high degree of operator care.